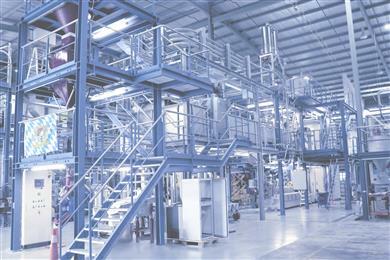 Kuala Lumpur, December 2018, KRAIBURG TPE’s will begin operations of a new production line at its Malaysia plant this month to boost production capacity by 35% and increase KRAIBURG TPE’s total production capabilities to 60,000mt worldwide. The consistent expansion of production capacities follows KRAIBURG TPE’s strategic approach to focus on its core competences. KRAIBURG TPE measures its success by customer satisfaction through a unique quality concept that takes people, processes and products into account, centred on exceptional, high quality and custom-engineered compounds. KRAIBURG TPE (www.kraiburg-tpe.com) is a global manufacturer of thermoplastic elastomers. From its beginning in 2001 as subsidiary of the historical KRAIBURG Group founded in 1947, KRAIBURG TPE has pioneered in TPE compounds, today being the competence leader in this industry. With production sites in Germany, the US, and Malaysia the company offers a broad range of compounds for applications in the automotive, industrial, consumer, and for the strictly regulated medical sectors. The established THERMOLAST®, COPEC®, HIPEX®, and For Tec E® product lines are processed by injection molding or extrusion and provide numerous processing and product design advantages to manufacturers. KRAIBURG TPE features innovative capabilities as well as true global customer orientation, customized product solutions and reliable service. The company is certified to ISO 50001 at its headquarters in Germany and holds ISO 9001 and ISO 14001 certifications at all global sites. In 2017, KRAIBURG TPE, with over 620 worldwide employees, generated sales of 178 million euros. KRAIBURG TPE achieves new Asia Pacific milestone with additional production line.